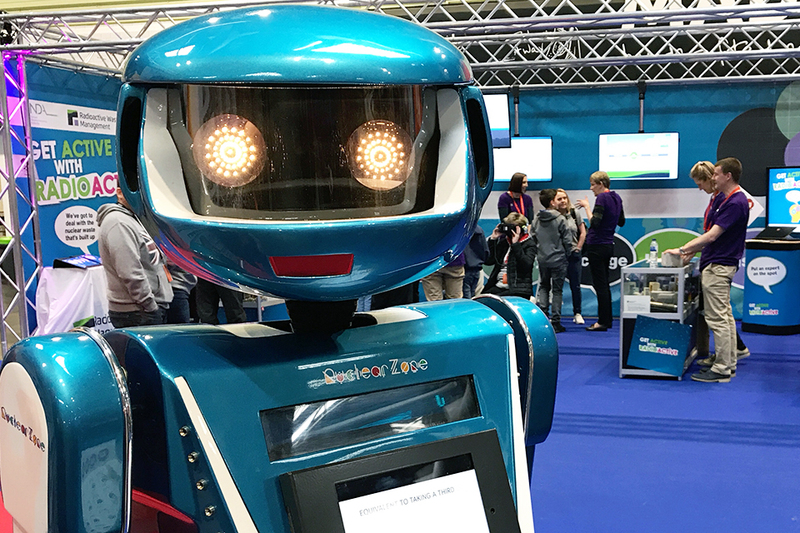 This blog covers my experiences at RWM’s exhibition stand at the Big Bang Fair, over the last two days of the event. Arriving at the NEC on a sunny morning in March, I wasn’t exactly sure of what to expect - possibly two days of complete madness! I walked into the enormous exhibition hall and was immediately overwhelmed by all the activity going on inside. It was loud, it was colourful, there were literally ‘big bangs’ going off in the background. I was struck by the fact that - had I been there when I was at school - I couldn’t have helped being super excited! This wasn’t just a first for me - it was a ‘Big Bang Fair’ first for RWM and our parent company the NDA too. 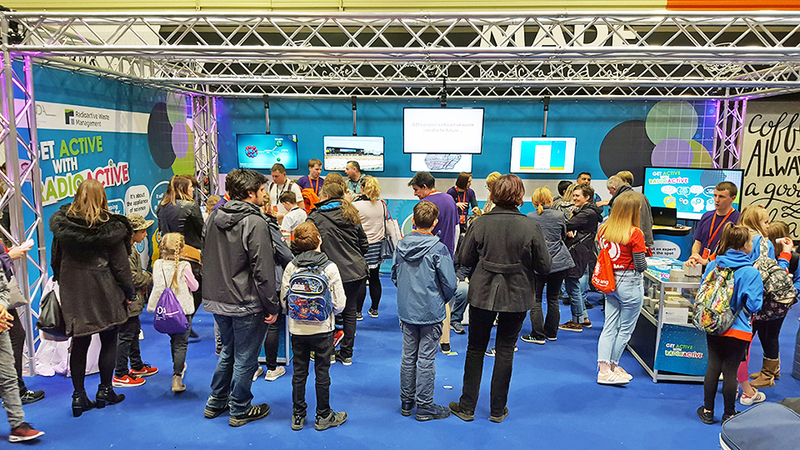 Our team had worked incredibly hard on the appearance of the stand and the engaging STEM activities for us to share - which all looked completely amazing and went down so well! Over the four days we welcomed over 3000 visitors! 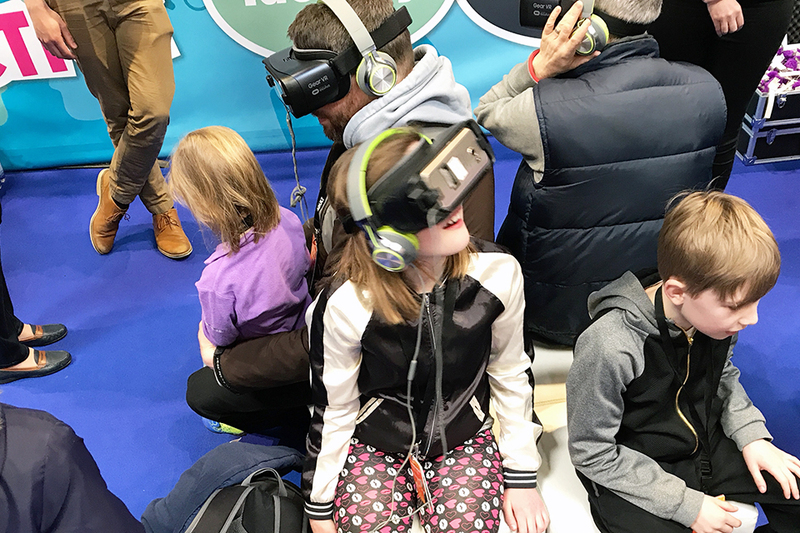 There were animations about radioactivity and geological disposal, virtual reality for people to take imaginary trips underground in a disposal facility of the future, a cloud chamber, glass cabinets containing rock samples and 3D printed models, as well as science quizzes and flashcard games we could use to engage with our visitors. 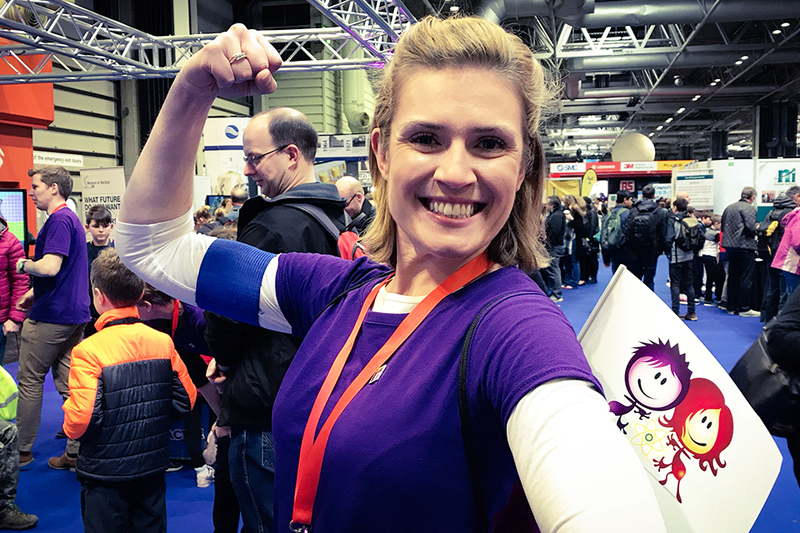 I felt so proud as I put on my purple RWM t-shirt and badge to get cracking, ready to talk to the swarms of young minds who literally took over the ‘nuclear zone’, which we shared with the biggest names in the nuclear industry, like the NDA, Sellafield Ltd and EDF energy. When asked if they had heard of radioactivity or radioactive waste before, most of the children quoted Fukushima, Chernobyl and even Kim Jong-Un! 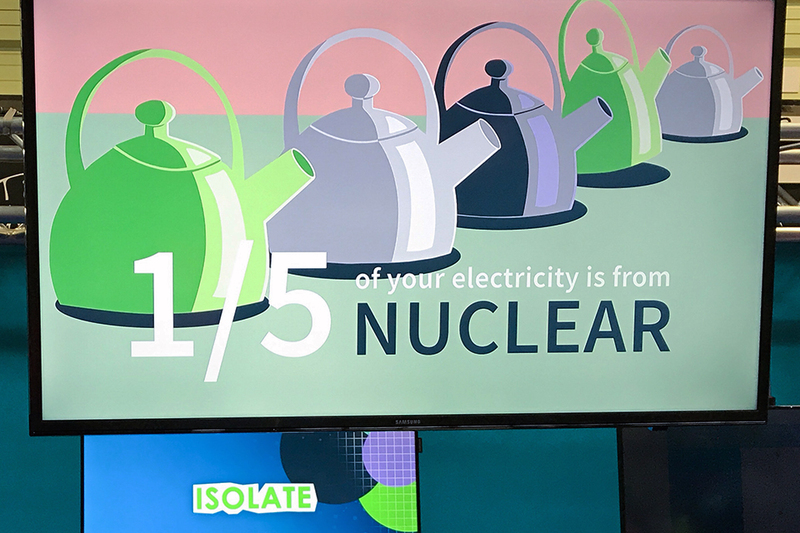 A few were surprised that some of their electricity came from nuclear power or that natural radiation existed all around them and in their food. To top it all, I had the pleasure of acting as a Career Captain at our stand - this involved wearing a flag on my back, handing out stickers for the career competition and telling stories of my own experiences: my chemistry degree, my radiochemistry PhD, the funding support I received from RWM and subsequently my roles in the Specification and Research teams. This is me as Career Captain! So how can I sum up my first ever Big Bang Fair? A fantastic and rewarding two days for me, and an investment in the future for RWM. I can’t wait for us to return next year - let’s get planning!